We can fix it and we did. 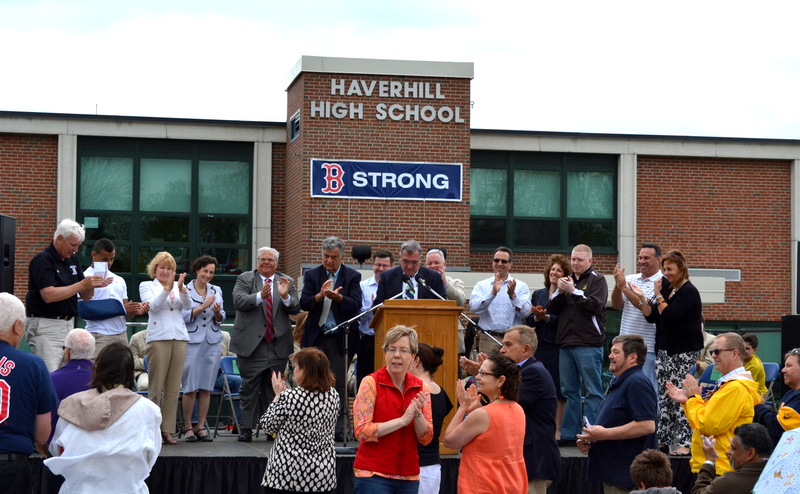 Saturday, May 11 was labelled the Renaissance of Haverhill High School, and it did in fact showcase the stunning rebirth of a school some assumed was dead. Mayor Fiorentini acknowledged the multiple people, groups, and administrations responsible for bringing the school back from the brink of losing its accreditation. The state review seemed hopelessly dismal. But now we have a school worthy of the praise it receives. My family is newly located in Haverhill; we moved in about 5 years ago so we never saw the worst of the decline, but we were proud of our adopted city when we heard what could be accomplished with creative budgeting, without an override. 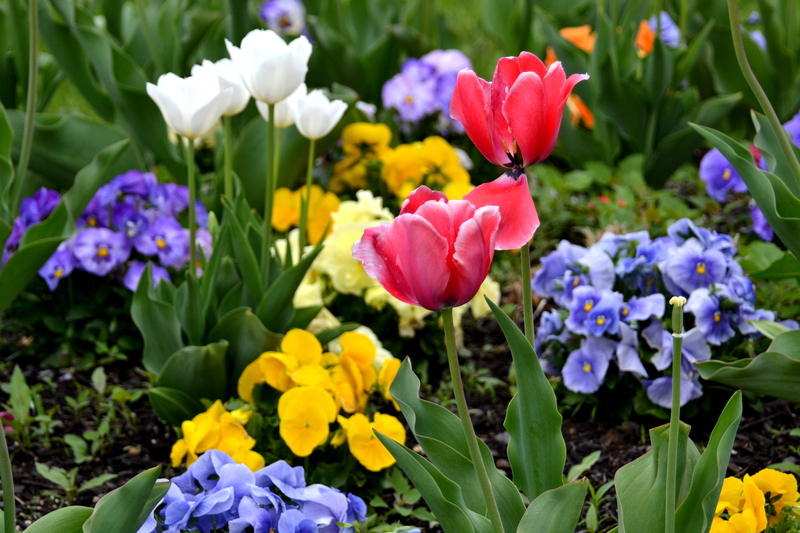 It’s a small feature in the scheme of things, but the lush and colorful landscaping that greeted us set a tone of expectation. This is a school that deserves to be wrapped like a present in tulips and pansies. But the high school is more than just the facility, and the rebirth it is experiencing is evidenced on many levels. 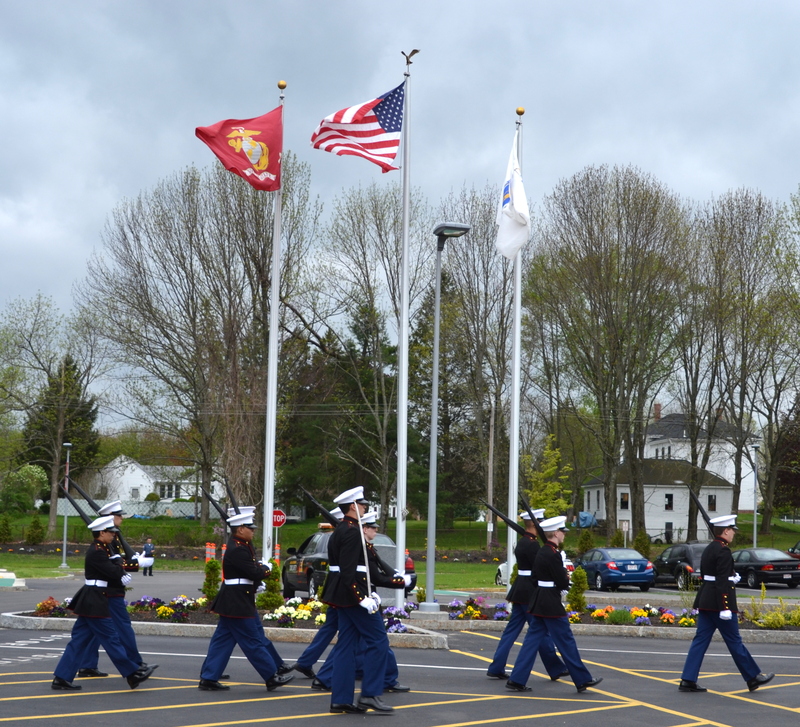 The ROTC raised the red, white and blue along with the state and Marine Corps flags in a solemn ceremony where attendees had hands over swelling hearts and repeated the Pledge of Allegiance. 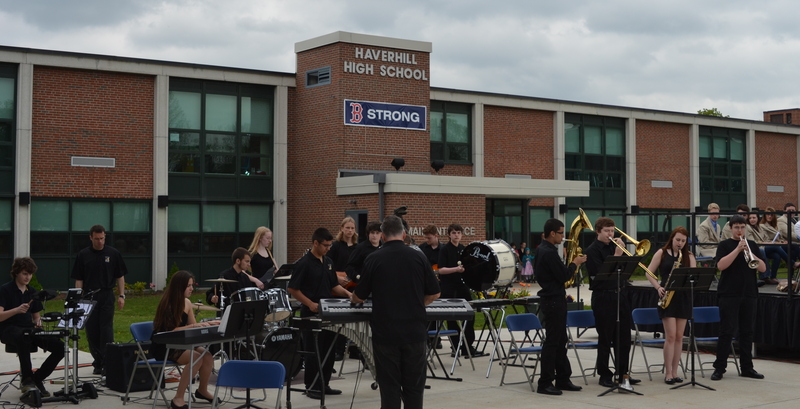 The growing Haverhill High School band may have cobbled together a group of performers from several schools and levels, but it is indicative of the over arching umbrella of thought and hope, “What can we do now to enhance the future?” The seeds are being sewn in middle schools across the city. The chorus featured stellar solo, duet, and group performances. The student art on display was better than I’ve seen at some professional galleries, and there were a couple of teapots, I would have been tempted to buy had they been in a gallery. 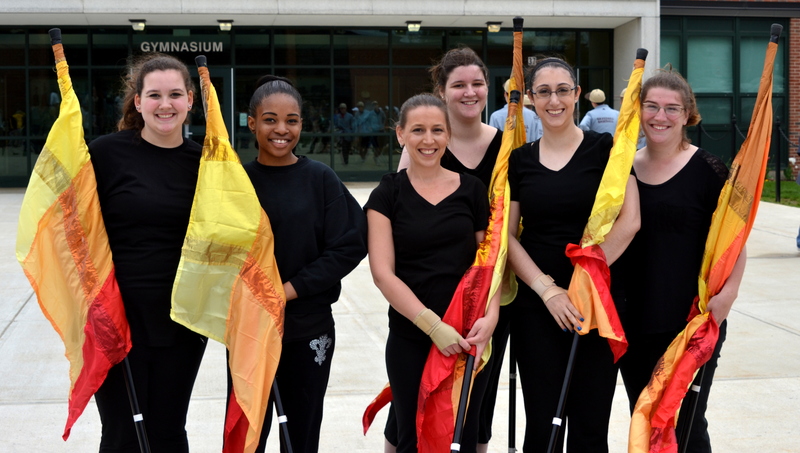 The color guard, once abandoned, is making a comeback with the support of several alums and a trio of adventuresome students. My daughter reluctantly showed up at a practice when her friend and early adopter, Alexandra Caruso, strong-armed her into just going once. She was bribed with a meal and a ride. And while she admittedly thought this was a one and done, she found she liked the girls, the dedicated coaches, the movement, and so with the realization that she could in fact learn the routine in a scant four week period, she stayed on for good. When we chatted briefly with the superintendent, he made a point to mention how pleased he was that the color guard was back. It’s a microcosmic comparison, but what’s happening at Haverhill High School is similar to the people returning after the devastation of Hurricane Sandy. This school has weathered a storm, and with each step back, we come to expect a new norm. One where the community is better than ever, where the naysayers have a meal of crow, and the city keeps improving because a few idealistic souls continue to spread the message of possibility and won’t give up until they achieve it. 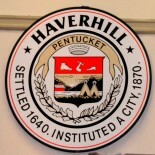 The Heartbeat of Haverhill is my blog contribution to the Advancement of Haverhill Appreciation. It is dedicated exclusively to the positive movement of our city and our people. Positive comments and ideas are welcome; haters need to find another blog or better yet work to create the change they want to see. Send me ideas about the good stuff you see around town and you will be deputized…..not the type of deputy that searches out the worst we have to deal with, but a new kind of deputy that seeks the best we have to offer. Today’s SPECIFIC challenge: HHS COURTYARD BEAUTIFICATION. I noticed a couple of courtyards in the high school that could still use a facelift before becoming the welcoming space they should be. I don’t know what the school intends to do with them, but YOU might call and find out. I challenge the garden enthusiasts and garden clubs to learn about the possibility of engaging students to make and maintain this change. I challenge culinary classes to investigate the possibility of taking over a patch of land to supply their herb and produce needs. I challenge the yoga classes to find out how they might convert a courtyard into a peaceful space for their lessons. Happy in and with Haverhill. Thank you Mr. Mayor for sharing on FB. 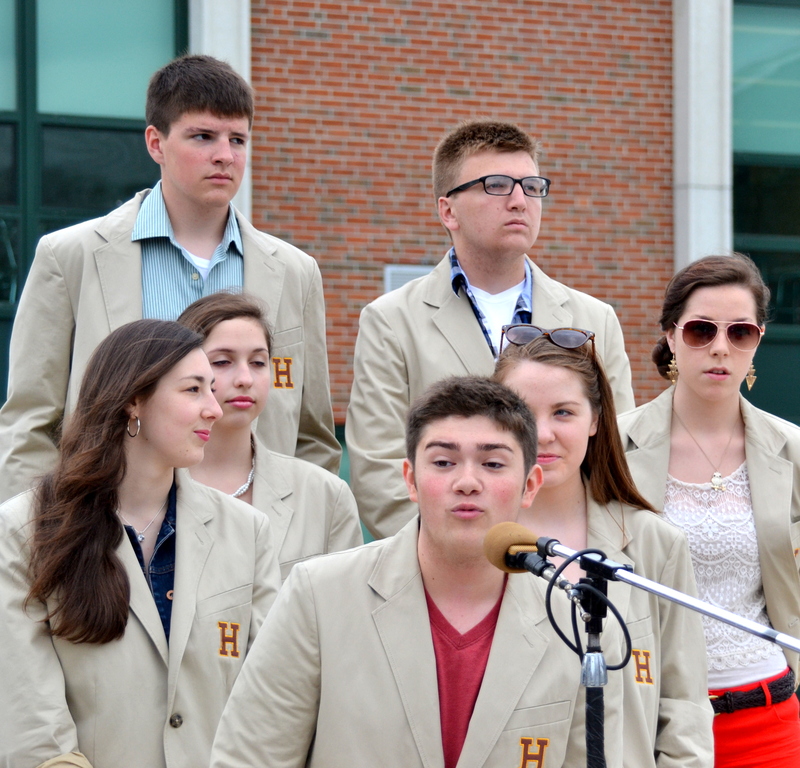 This entry was posted on May 12, 2013 by Brain4Rent/THoH in Haverhill, Massachusetts, Uncategorized and tagged Alison Colby-Campbell, Haverhill, Haverhill High School, Haverhill HS Band, Haverhill HS chorus, Haverhill HS ROTC, Haverill HS Color Guard, Mayor James Fiorentini, Superintendent Scully.